Mahindra Automotive North America's headquarters and manufacturing site near Detroit, Mich., houses design, engineering and vehicle development for the expanding group. The Mahindra Group, one of India’s biggest business groups, has opened a plant near Detroit and is seeking Canadian dealers for an off-road vehicle. “This new vehicle, the Roxor, will be sold in Canada in the summer of 2018,” said Luc Beaubien, vice-president sales for Mahindra Automotive North America. “We will establish a substantial network of dealers across the country, and our primary goal is to put together a different business approach in this segment of the market. The off-road vehicle is a first step in a United States. Mahindra already sells tractors in North America. “We want this operation to be the benchmark to future ventures in Canada,” Beaubien said. “It is important to have a first strong impression to let the market know we are serious about a long-term presence in Canada. Mahindra has invested US$230 million in the Detroit area. Aside from the plant, it has a recently opened warehouse and logistics operation, as well as a prototype operation. The plant is combined with its North American headquarters, which houses design, engineering and vehicle development. “We have stated on record, that amongst the options open to us are to come in with SsangYong Motors [vehicles], which is our Korean subsidiary. Mahindra attempted to enter the United States market in 2006 using independent distributor Global Vehicles U.S.A. to sell compact diesel pickups imported from India. The companies targeted a retail network of more than 300 dealers. But the plan collapsed in 2010 amid the industry's sales downturn and resulted in years of litigation. 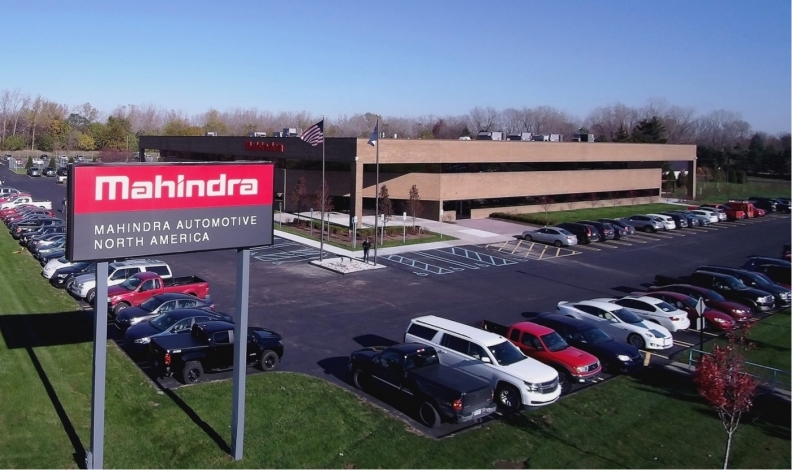 “We did attempt to come in [to the United States], but I think the learning from that is if you're committed to a market, you must come in with your own entity, being the distributor here, and we will certainly use that learning," Mahindra said. Mahindra executives believe tractors and other off-road products could be the key to determining whether its passenger vehicles are viable here. The Mahindra group’s business lines include utility vehicles, information technology, financial services, agribusiness, commercial vehicles, steel, aerospace, defense and motorcycles. Mahindra employs more than 200,000 people across 100 countries. It is the world's largest tractor company, by volume. It also owns the Italian auto design house Pininfarina. Jack Walsworth of Automotive News contributed to this article.